JUSTIFIED returns for Season 4 at 10 PM Jan. 8, 2013 on FX! “The Ugly Truth” Is On DVD Now! 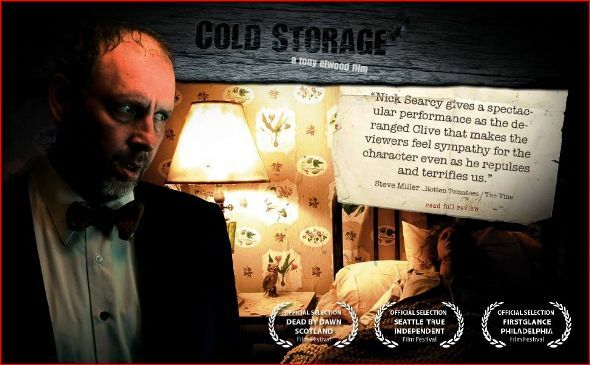 COLD STORAGE will be released on DVD May 5th! Nick’s “He Carried Yellow Flowers” video on Youtube surpasses 300,000 hits! The featured reel is a small sampling of the dramatic roles Nick has played during his expansive career. In the demo reels section, there are comedic and horror compilations as well. 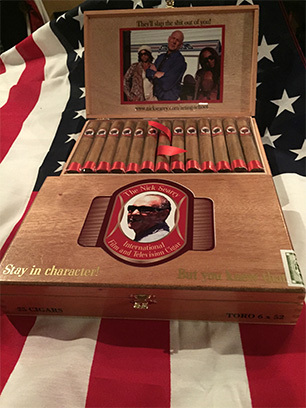 The Nick Searcy International Film and Television Cigar. Connecticut wrapper, Dominican binder and filler, 6 X 52 Toro. Individually wrapped. Only $179.99 for a box of 25, shipping included. Don't be a loser. Order yours today! 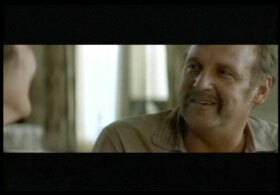 Send inquiries to nick@nicksearcy.com.